Student Walkout on Trump Inauguration Day! Donald Trump and the Republican Party are preparing to unleash a storm of attacks on women, immigrants, the Muslim community, LGBTQ people, workers, and the environment. We must stand together in solidarity against Trump’s attempts to divide us! 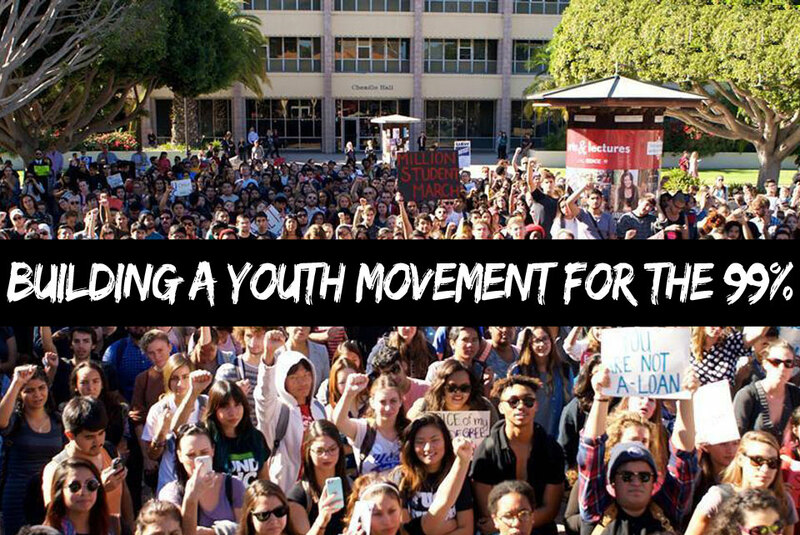 A huge national student strike will send a clear message to Trump, the billionaire class, and the Republican Party that we reject their agenda of bigotry, hate, and division; that we reject their corporate policies to gut our social services and education. Already we have seen the beginning of a mass fightback against Trump, with hundreds of thousands pouring into the streets after the election. But we can’t stop there, more will be needed to stand up and fight back against the onslaught of right-wing hate and corporate greed. No deportations of undocumented immigrants! Black Lives Matter! End police brutality and mass incarceration! Fight Trump’s sexism! Defend and extend reproductive rights! Tax the rich! Make college free &amp; cancel student debt! Fight discrimination and violence against the LGBTQ community!